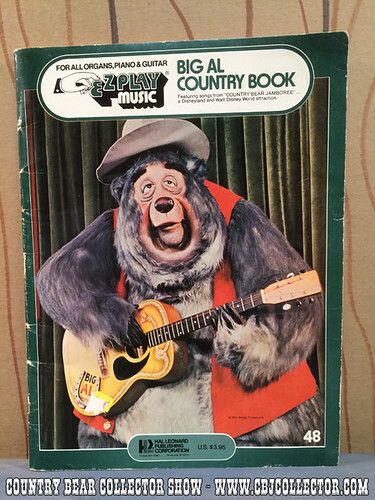 This week, we head back to 1977 for a really unique piece of Country Bear Jamboree merchandise, the Big Al Country Book, featuring music for some of the songs from the Country Bear Jamboree. The book includes several songs from the show, plus songs from Pecos Bill, Old Yeller and more. It also features a great full color spread of photos in the center. Our host gives his Paw Rating, letting you know how cool this item is and if it is worthy of your Country Bear collection!